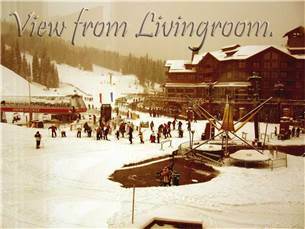 Relax in the gorgeous mountain decor while enjoying one of the best views at Copper Mountain! 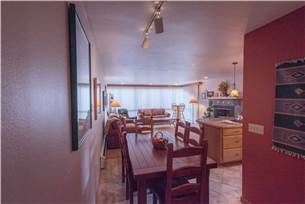 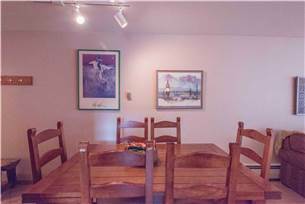 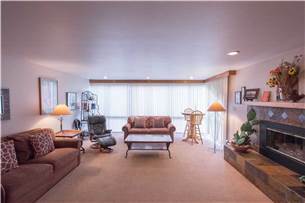 This renovated, approximately 800 sq. 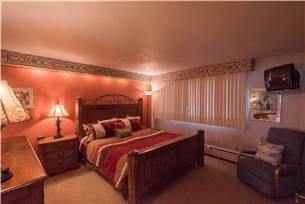 ft. condominium Sleeps 6 people. 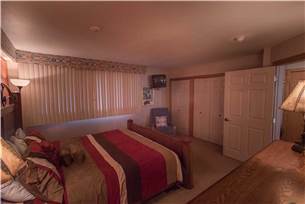 The Master Bedroom has a King Size Bed, cable TV and a 3/4 Bath. 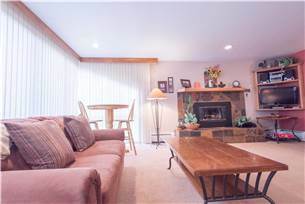 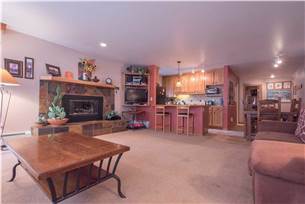 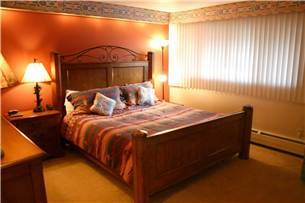 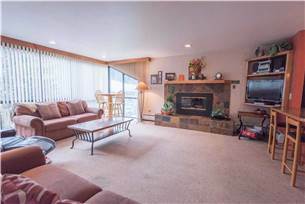 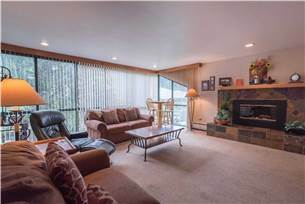 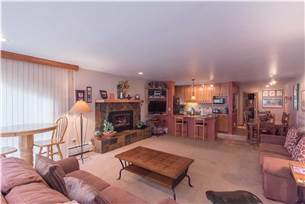 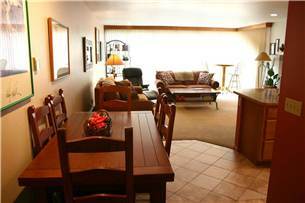 The spacious Living Area provides a Queen Size Sofa Sleeper, a Double Size Sofa Sleeper, Free WiFi, a Gas Fireplace and Flatscreen TV/DVD with a stereo. 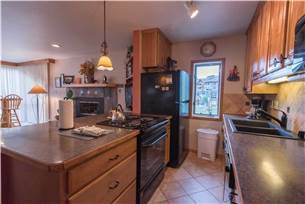 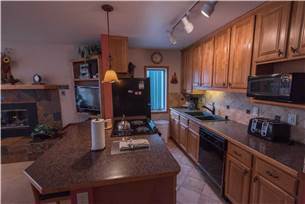 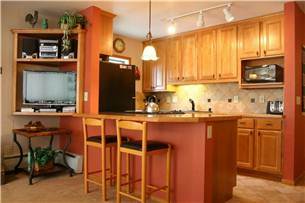 The Full Size Kitchen offers up to date appliances and opens into the Living and Dining Area. 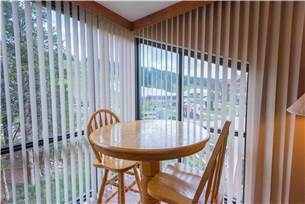 Floor to ceiling windows cover the South wall allowing for glorious views of the American Eagle Lift and Burning Stones Plaza. 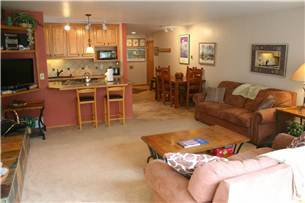 Copper Junction 305 is a “Ski-in/Ski-out” residence located only steps away from the American Eagle and American Flyer Chair Lifts and is in the heart of Copper Mountain's restaurant and shopping district. 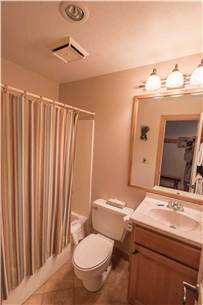 It is ideal for anyone looking for the convenience of Premium Slope Side Accommodations with the added benefit of an Extra Full Size Bath. 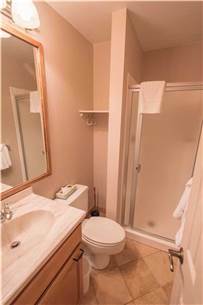 The building's amenities include community Laundry Facilities and on site parking is available.